Hair loss is a common problem that can be caused due to several reasons. Some common reasons are stress, medication, hormonal imbalance etc. High fever, severe or prolonged illness, pregnancy and childbirth, or extreme stress can also cause hair loss. Poor diet or malnutrition is another medical reason for hair loss. Estrogen is a hormone that protects against hair loss, and as women age estrogen levels naturally decreases. The hormone dihydrotestosterone causes hair follicles to shrink and makes existing hairs thin and fragile. Disorders of the thyroid gland can cause thinning of hairs or hair loss. 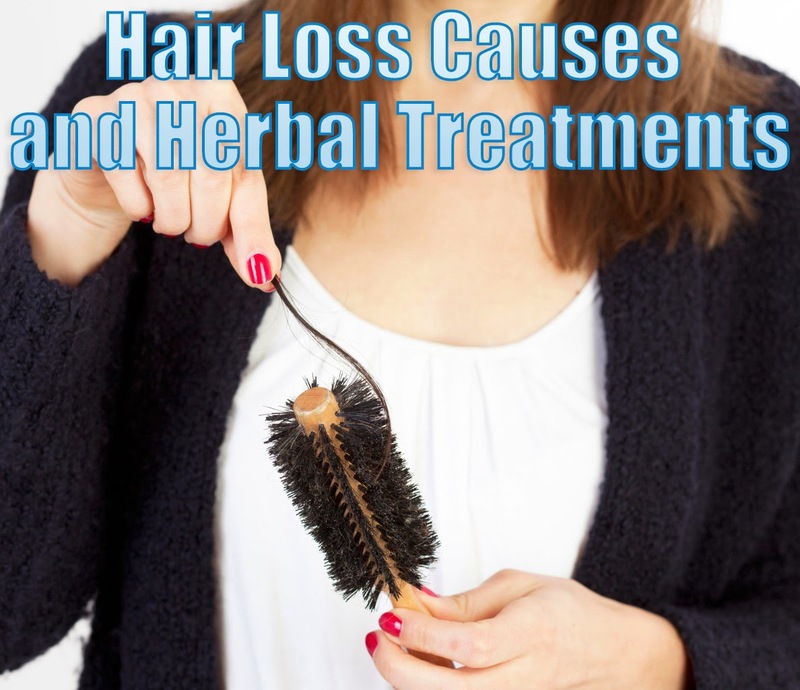 Herbal hair loss treatments have been helpful for decades and in some cases even centuries. They cause no side effects, are inexpensive and bring good results in preventing hair loss, stopping hair loss and re-growing hair. 1. Rosmary (Rosmarinus in Latin) – It is known for stimulating hair growth and for enhancing dark hair. 2. Dong Quai – It is a traditional Chinese herb that contains phytoestrogens that reduces the formation of DHT. Hence, Dong Quai is beleieved to stop hair loss and even regrow hair. 3. Saw Palmetto – It is a small creeping palm and contains free fatty acids and phytosterols, which block the formation of DHT and by inhibiting the enzyme 5-alpha reductase that contributes to androgenetic alopecia and has shown to be more effective than Finasteride in some cases. 4. Capsicum – It is a type of hot peppers which stimulates hair growth by at least half and increases blood flow to the scalp. This herb is good for regrowing hair. 5. Lemongrass – It is a pale green stalk about 18 inches long. This herb stables oil product in the scalp. It also increases fullness and body to the hair.